Pool water can quickly grow algae and turn green without chlorine. Most Algae is harmless, but water that is green can become a breeding ground for mosquitoes and other insects, making your pool unsafe to swim in. Pollen can be carried into your pool by the wind or rain. Pollen is harmless to yourself or your pool and is easily removed. 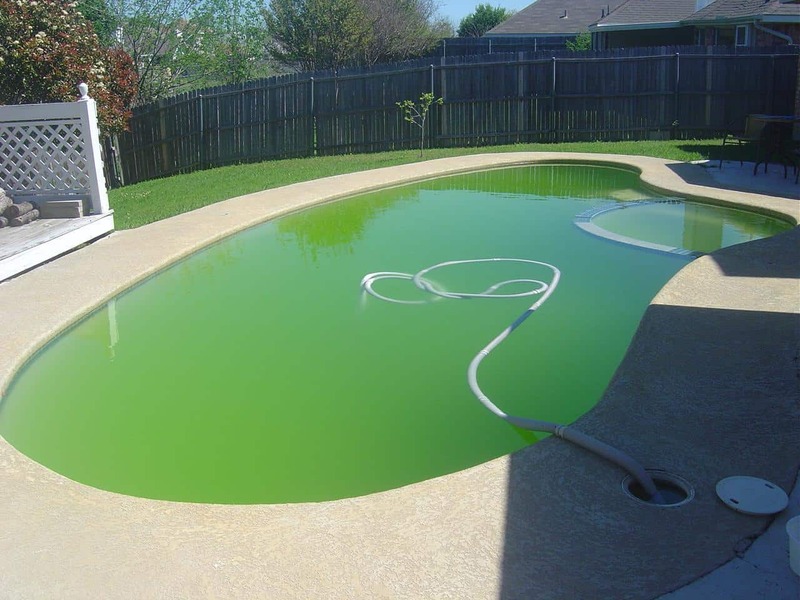 Metals that have oxidised can cause your pool to turn green. These metals can be introduced into your pool from the water source, cheap algaecides or from metal components in your pool if your pool water is acidic. To rid your pool of green algae what is used is metal remover, phosphate remover, super-shock chlorine and algaecide. After the first phase of the process, your water will visually look blue, but very cloudy. The white cloudiness is the dead algae suspended in the water. 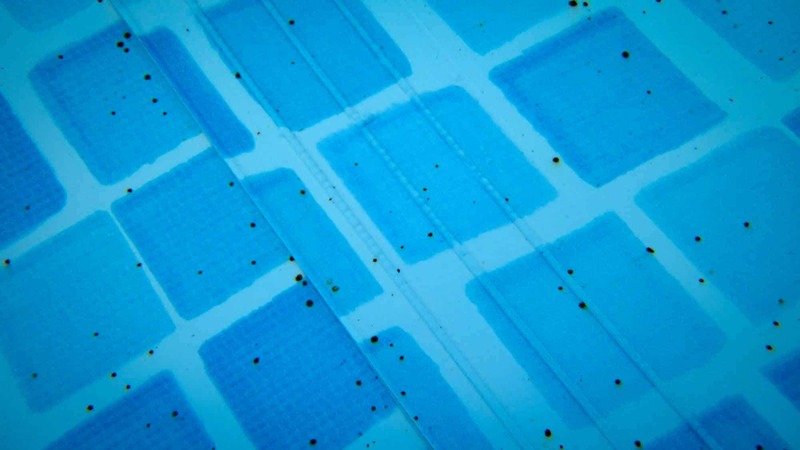 Depending on the extent of the green algae, your pool would be cleared with clarifiers and use your filter to assist. Depending on the extent of the green algae, your pool would be cleared with clarifiers and the use your filter to assist. A granular flock is usually only used if time is of the essence in clearing your pool. Once your pool is clear, all of the dead algae will reside on the bottom of your pool and will be vacuumed to waste, so it won’t return to your pool through the filter. On only rare occasions is more than one treatment required to clear your pool of green algae and draining your pool is a last resort and usually not needed. Mustard algae is rare form of algae and usually found in warmer climates. Mustard algae isn’t slimy like green algae and is often mistaken for sand or dirt in your pool. It will usually reside on walls and in the shady side of your pool. Mustard algae can easily be brushed away, but will return if not treated the same as green algae. Mustard algae is stubborn and more chlorine resistant than green algae. Black Spot Algae is very dark green in colour and appears black when in heavy bloom and is the hardest algae to get rid of. Black algae has to be introduced into the pool and it comes from the ocean, or any other pool of water where this algae is present. 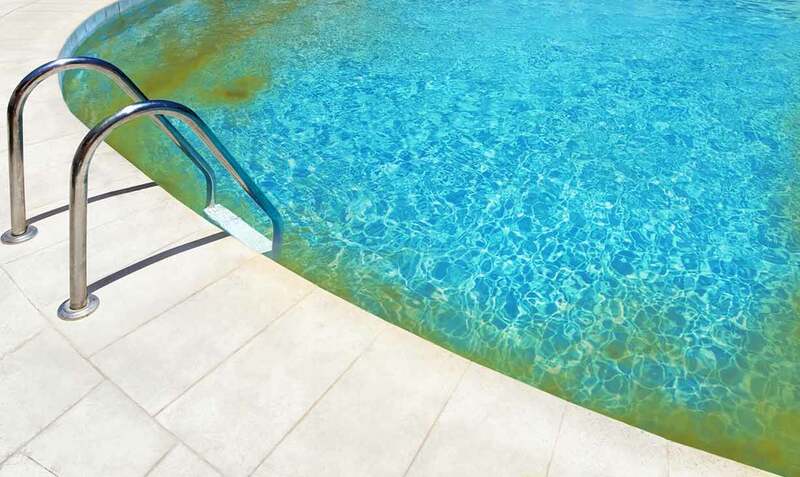 Usually black algae will get into your pool through bathing suits, towels, or other equipment such as toys, etc, that haven’t been thoroughly cleaned. Black algae usually thrives in areas of your pool that have lower circulation such as steps or corners. Black algae has many layers that protect it from residual chlorine. The roots of black algae will grow deep into the plaster of concrete pools or the grout in tiled pools. Getting rid of black algae requires the combination of specialised chemicals, algaecide, super chlorination and scrubbing and scrubbing walls, steps and other areas of your pool with a wire brush. * NOTE IN FIBREGLASS POOLS IT IS HIGHLY UNLIKELY THAT YOU HAVE BLACK AGLAE, BUT INSTEAD YOUR POOL HAS OSMOSIS (or blisters). … please click here for further reading about Osmosis. 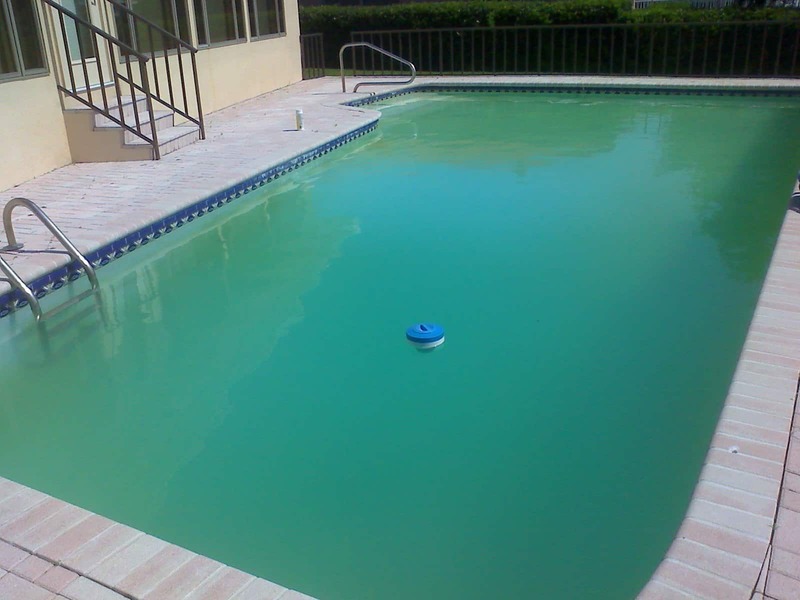 Contact us to get your green pool fixed today!